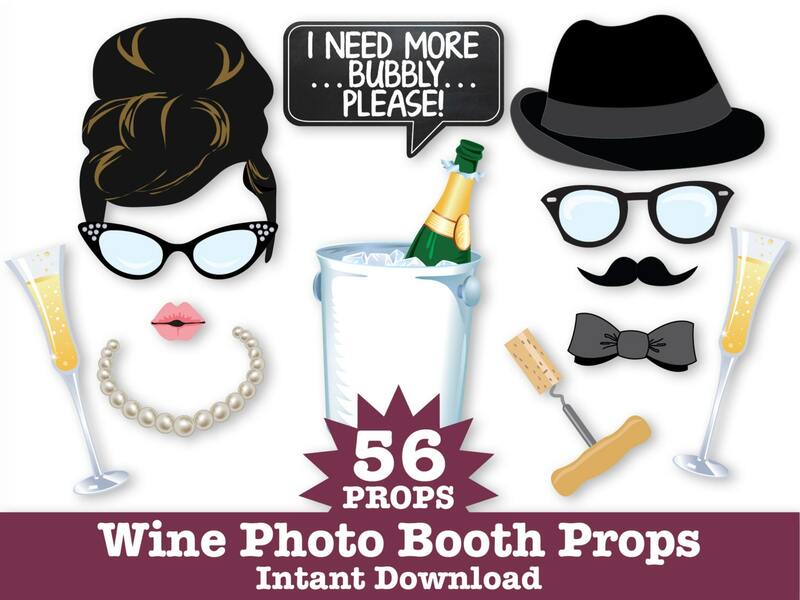 (¸.·´This Wine Photo Booth Prop DIY Printable kit includes 56 props: 3 Wine Bottles With EDITABLE Labels (3- Red-White-White Zinfandel) ★ Wine Decanter★ Pipe★ Champagne with Cork ★ LIPS (6) ★ Champagne Glasses (2) ★ Cork Screw ★ White Wine Glasses (2) ★ Red Wine Glasses (2) ★ White Zinfandel Glasses (2) ★ Cheese on Fork (2) ★ Cheese Block ★ Cheese Platter ★ Baguette ★ Cheese & Olive Pick ★ Mustaches (6)vWine Basket ★ Champagne in Bucket ★ Wine Barrel ★ Grapes (2) ★ Scarf ★ Beret ★ Bow Ties (2) ★ Sunglasses (2) ★ Glasses (2) ★ Hair Up-Do ★ Hat with Bow ★ Black Derby ★ Grab a Prop Sign ★ Team Red Sign ★ Team White Sign ★ Speech Bubbles EDITABLE (2) ★ Instructions, Plus Information for materials need & paper suggestions. 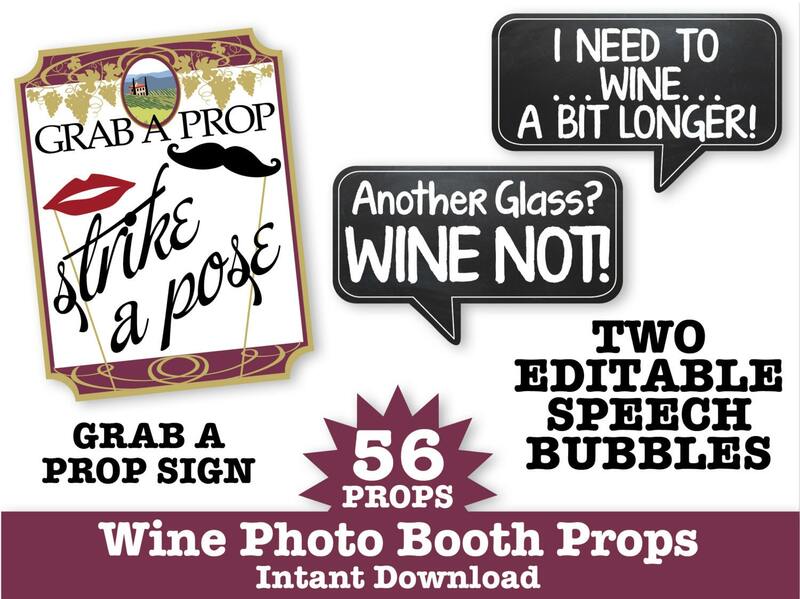 This Wine Prop Set is great for Wine Tasting Parties, Birthdays, Bachelorettes Parties, Engagement Parties... why not add something extra to your next party or get together! 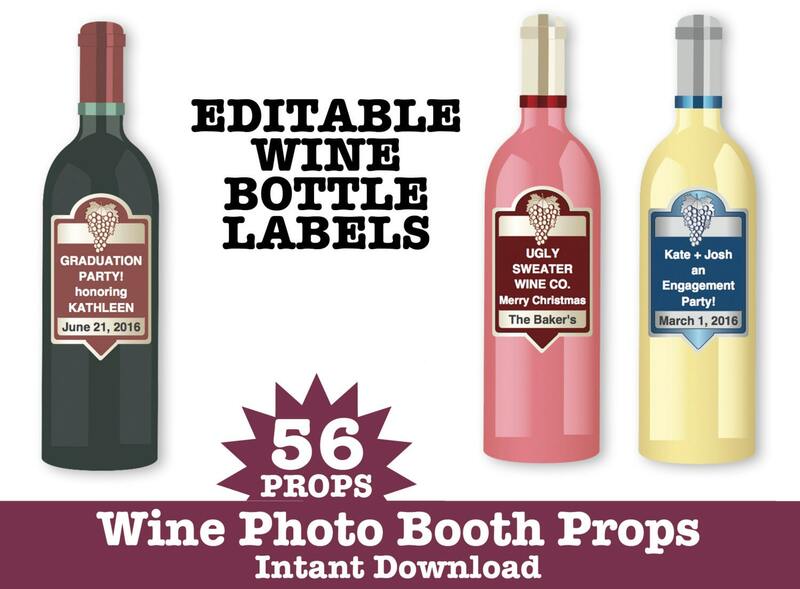 This Wine Photo Booth Prop kit is so easy to create. 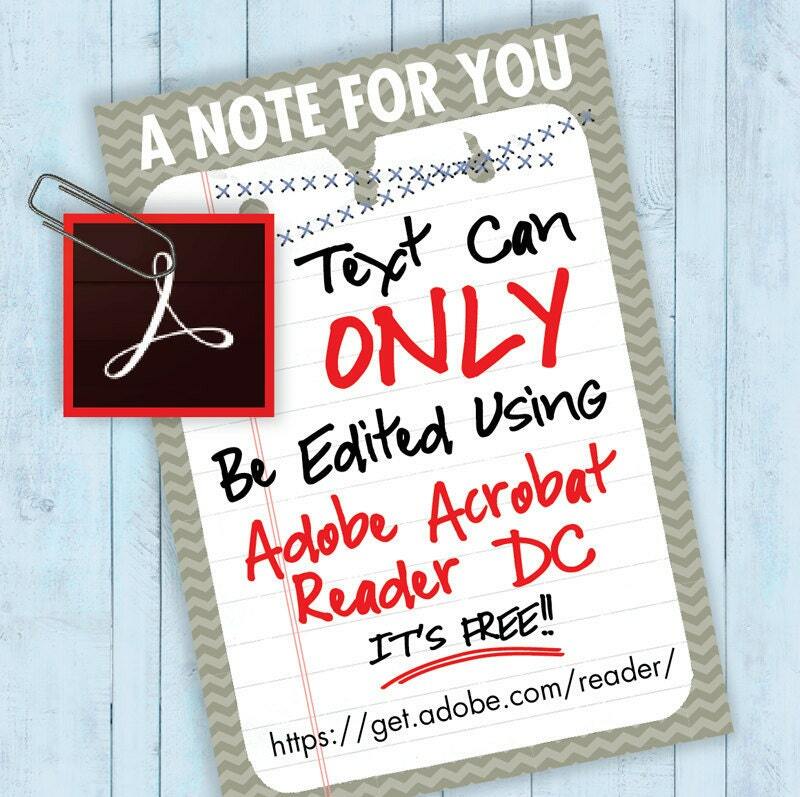 Print and cut out while watching your favorite show (with a glass of wine of course) ... it's that easy! You'll enjoy capturing the best moments! 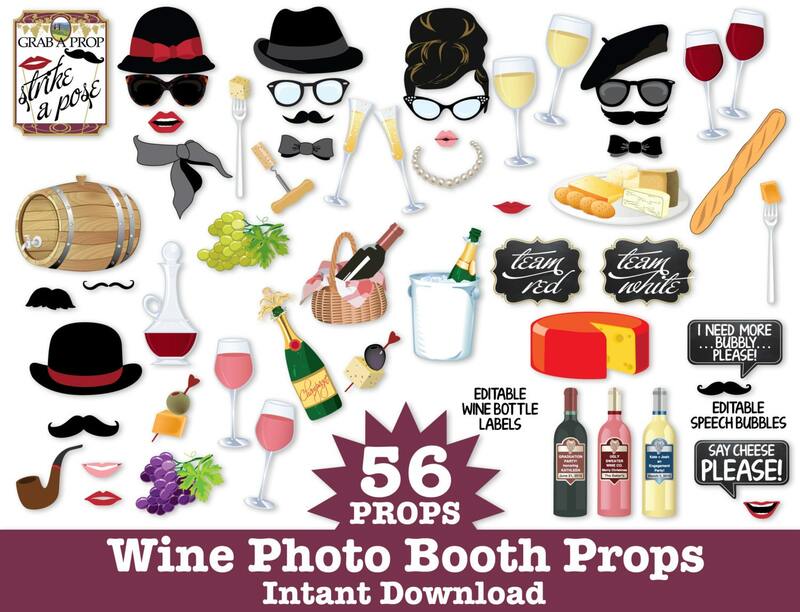 This prop kit has everything! My guests had a blast using these!